Well, we need more than send-one-request-receive-one-response. We need establish a persistent connection and repeatedly send new requests. well, I know poco can do it, but I’d like to kick the tire of Boost library suite. Some people complain that Boost libraries are of varying quality and usefulness. My goal: I have an existing Excel C add-in which need listen to a HTTP port, receive text stream. Such text is actually serialized (via Boost::Serialized) object, which need to be deserialized and pushed into library’s object cache. So the key is deep integration with other part of the library. Also, 1) such HTTP get() is data pull model; 2) we may need get from multiple http destinations simultaneously, so true multi-threading is a must (but such MT has to be kept off from main library code). The key is to understand the nested, recursive call structure. As there is no push in http (i.e. trigger a new get() whenever new msg is ready on server), how to implement the pull? Now, it is based on the fact Excel function is volatile. So every time Excel re-calculates, it sends a get() request. Note that our get() is asynchronized, so it takes a while before the new content comes in and update object cache. So Excel will well get an existing (older) version of the remote object. Key fact: the real-time object as of time T won’t be available at least at T+1, i.e. next time Excel re-calculates. It could be a big drawback, but it is the consequence of pull model. Review of our object cache: the library is single-thread, so the object cache has no lock in general for best performance. However, asynchorous thread has to update the object cache via a special function where a lock is required. Correspondingly, the Excel volatile function must acquire the same lock before it can read from the cache. In short, the lock is built-in object cache, only applicable for such html thread purpose. Boost Serialization is notoriously poorly documented. I am asked to provide serialization capability for a simple class hierachy. To make things a bit more fun, 1) such classes sits in namespace; 2) serialization/deserialization will be in different processes (so we cannot make assumption at runtime which runs first or runs at all). I use Boost 1.54.0 as of now. 1. Class must have default (param-less) cstor. Easy to understand: deserializer is like a special cstor(). It must first call the default cstor, then it can populate the member attributes. 2. If we want to use member-function-based serialization, the class can NOT be declared in any namespace. member-function-based means serialization is implemented as a [private] member function of the interested class. Why should it be private, see next point. What if our class is declared within namespace? We have to use non-intrusive serialization (via free functions). 3. Suppose we have a class hierarchy: pure virtual base Base with two derived classes, named DerivedOne and DerivedTwo. We should NOT call parent’s serialization code from derived class serialization, instead, using a special base_object template. //Base::serialize(ar, version); — BIG NO!!! // is either registered or exported. This macro just expands to other two macros, BOOST_CLASS_EXPORT_KEY2 and BOOST_CLASS_EXPORT_IMPLEMENT. BOOST_CLASS_EXPORT_KEY2(T, K): build a k/v system for type names/C++ names in cross-platform, cross-compiler fashion. See here for argument C++ built-in typeid() cannot be used. BOOST_CLASS_EXPORT_IMPLEMENT(T, K): force templates for derived class to be expanded and code is generated. Due to polymorphism, a module can completely manipulate a derived object via a base class pointer. Without such macro, compiler won’t generate code for (serialization) template code. suppose I have some data in CSV file — saved in H:\Daily\2012-03-09 folder. Note we alternate between “magic function ” (%) and system command (!). 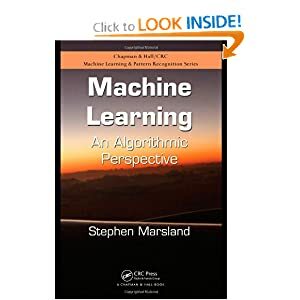 The book is named “Machine Learning: an algorithmic perspective”. Well, did not know Python has such a good eco-system for numerical math. Matlab should die. 2. Matrix mult. By default, all operations are elem-wise! For true matrix mult, use “dot”. 3. assigments are reference; must use copy() for deep copy. 1. UST tick data and BGC. H:\quant\MktMicroStructure\USTreasury contains a spreadsheet with UST ticker data (10min ticks with volume). Not really high freq. The folder also has a guide from BGCanter, for how to use the data (client guide). For rates business, no sophisticated analytics is ever requested. Jbookrunner. Assume you have obtained a order book. How to make it “live” and see how trades happen? You need a simulation software. Jim Gatheral (Baruch) is focused on “highest layer” of Algo Trading tech stack. In fact, he only talks about IR futures traded on CBOT ( Tsy futures; Libor futures). 1. Futures trading is very centralized, not scattered (and even hidden in black pools) among many different exchanges. CBOT has the monopoly. 2. Recently [ Apr 2011] , NYSE LIPPE tried to end the monopoly, basically introduced the “same” products. But due to copyright, they are equivalent, but they are not exchangable. So trades on CBOT and NYSE cannot net. NYSE still has a point as you can combine your bond trades with futures trades and have a combined risk profile. 3. Robert is only focused on “broker” side, i.e. 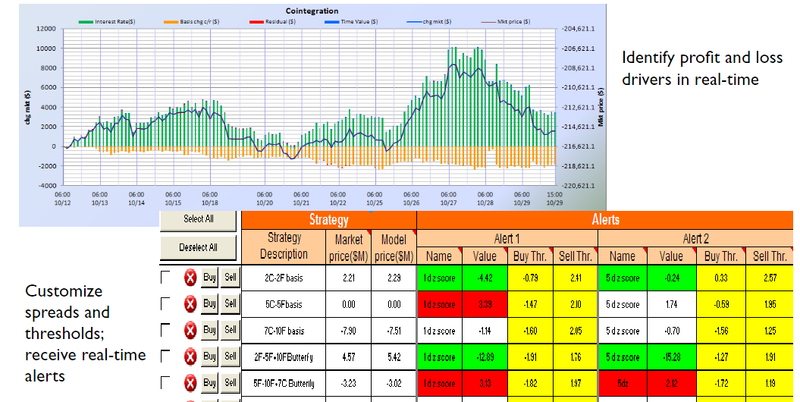 design strategy to help clients to execute large trades. It is not about prop trading. 4. It is a pro-rata market; it is leading to the fact everyone over submit orders (in hope to fill), so overfilling will occur. This is in contrast to equity market, as highlighted by Robert. NYU FinMath student wrote a paper and implemented models. TODO: how to find him? 6. My own thought on HFT: it is a fad and a scam. The barrier is very high: 10mm USD initial investment to start with. require high quality traders/quants/IT to work together, which is impossible for small firms. Also, how much money is on table to make? what is the financial transaction tax? however, “Algo trading” could stay; it is not really about split-second, it is about identify signals from price stream, understand order book, and replace human by machines. 7. Where to obtain book data? where to obtain simulation software? He sketched MRR ( Madhavan, Richardson Roomans, 1997, Why market price change?) model, though it is flawed. MUST come up an idea so that I can OWN a copy of new tree code at home! The most celebrated part is the calculation done in Appendix 1.
claim: Increase short vol decreases the serial correlation of 10yr swap rates. the proof applies the “roughly const coefficient” trick. note that “short” vol means the tenor. To show a proof for 10yr swap rates starting N yrs from now and M yrs from now, we need N * (M-N) vol. M-N must be small. Higher serial correlation means if option is in-the-money now, it will be highly likely in-the-money later. Hence the embedded option value decreases. Such argument is kind of like: for CMO pricing, junior tranche likes the fact all collaterals are highly correlated, while senior tranche prefers all collaterals are lowly correlated.